A change in the Federal Reserve’s stance on the direction of interest rates helped buoy equity and bond prices higher in March, allowing U.S. equity indices to post the strongest first quarter in nearly ten years. The Federal Reserve scaled back its growth expectations for the U.S. economy and announced that it would hold rates steady with no additional rate increases this year. Economists interpreted the comments as a somber assessment of economic expansion, yet positively received by the equity and fixed income markets. The Fed mentioned trade disputes, slowing growth in China and Europe, and possible spillovers from Britain’s exit from the European Union were factors. Short-term bond yields rose above longer-term bond yields in March creating what is known in the fixed income sector as an inverted yield curve. Normally, short-term yields are lower than longer-term yields, resulting in a normal yield curve. A persistent inverted yield curve would become more concerning should it linger for several quarters. Concerns surrounding economic momentum in Europe became more prevalent as Europe’s central bank, the ECB, signaled that it would maintain interest rates below zero longer than anticipated. Slower growth in both exports and imports have been implying a slowdown throughout the EU, which is comprised of 28 European countries. The pending outcome on how and when Britain finally exits the EU is also adding duress to Britain’s trading and business partners all over Europe. Chinese government data revealed that exports heading to other countries worldwide fell over 20% in the past year. Data also showed that imports had fallen into China, realizing that Chinese consumers were scaling back demand from prior months. Optimism over progress on U.S. trade discussions with China seemed to overshadow concerns about a slowing economic expansion helping to propel equity indices towards the end of the third quarter. The yield on the 10-year treasury fell to 2.41% at the end of March, down from its peak yield of 3.25% in October 2018. The Fed’s shift from a tightening mode to a hold mode is interpreted by some economists and analysts as a lack of confidence in economic growth. Treasury yields inverted further as the 6-month treasury note yielded more than the 7-year treasury bond in March. Inverted yields mean that shorter-term rates are higher than long term rates, translated by markets as minimal economic expansion and inflation expectations. A sustained inversion becomes more concerning should it linger for several quarters. Some are even expecting a rate cut later in the year, if not in 2020, should economic data shed dismal projections. Negative yields on some European government bonds reflect minimal growth expectations with subdued inflation throughout the EU. An inverted yield curve in the U.S. may partially be the result of slowing economic expectations in Europe and internationally. The yield curve has been fairly flat over the past few months, meaning that the yield on shorter-term bonds has been similar to the yield on longer-term bonds. This dynamic created some uncertainty for the Fed, making it difficult to determine whether to raise rates or keep them the same. Demographics drive the domestic labor force propelled by both young and unskilled workers to older more seasoned individuals. For decades, the baby boom generation commanded the nation’s workforce, representing the single largest age group to hold jobs across all industries and sectors. As those same workers have aged, a younger generation has assumed some of the gaps left by retiring boomers. The IRS issued some reprise resulting from underpayment on withholdings for 2018 taxes. Penalties have been waived for taxpayers in the past that underpaid on their taxes by no more than 90%. The IRS has lowered the threshold to 80%. The modifications enacted by the IRS is expected to reduce the number of taxpayers subject to penalties by 25% to 30%. Taxpayers that have already filed their returns are still eligible for a waived penalty by filing Form 843. Updated federal tax withholding tables released in early 2018 largely reflect lower tax rates and increased standard deductions passed under the new tax laws. This generally meant that taxpayers had less withheld in 2018 and saw more in their net paychecks. The problem arose when withholding tables couldn’t fully factor in other changes such as suspension of dependency exceptions and reduced itemized deductions. As a result, some taxpayers ended up paying too little during the tax year, failing to revise their W-4 withholdings to include larger tax payments. This is where the penalties have primarily been imposed. Turbulent and politically charged challenges between the British government and Parliament have resulted in numerous failures to finally execute Britain’s departure from the EU, known as Brexit. 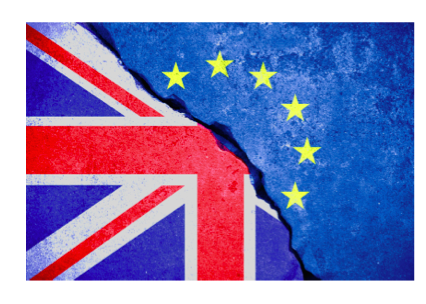 The significance of Britain exiting the EU may eventually be substantial as other countries may decide to cast similar votes on whether or not to leave the EU. Several of the existing members are anxiously awaiting the outcome of Brexit to determine how challenging both politically and economically it may be. As of the end of 2018, Britain represented roughly 13% of the EU’s total GDP, ranking second in terms of GDP after Germany. The EU (European Union) was established following the end of WW II in order to offer financial and structural stability for European countries. Since its establishment, the EU has grown to a membership of 28 countries abiding by various rules and policies set forth by the EU Council. One of the responsibilities of member EU countries is to accept and honor immigrants and citizens from other EU countries as part of the human rights initiatives recognized by the EU. Immigration has been a topic of contention among various EU countries for some time. This was a decisive factor for Britain leaving the EU since its economy and cities have been inundated by foreign-born immigrants seeking jobs and a better quality of life. Since Britain has been part of the EU since 1973, it is expected that the unraveling of British ties from the EU could take years. Contracts, employees, and laws will all have to be revised, reshuffled, and rewritten in order to accommodate the divorce between the two. As the cost of education has risen over the years, so has the reliance on student debt in order to help finance such expenses. The concern is that more and more students are graduating from college with large amounts of student debt and with no job intact. The Fair Credit Reporting Act (FCRA) recognizes student debt as any other type of debt, equal to mortgage debt, auto loans, and credit card balances. Student loans can affect credit both positively and negatively. Since student loans have long repayment periods, consistent and timely payments can assist in building and increasing credit scores. Having a mix of debt, such as a credit card, a car loan, and student loans can reflect positively as a broad mix of debt. Conversely, late payments and delinquencies on student debt can negatively impact credit scores and payment history. Some parents and counselors are encouraging students to avoid excess student loans and to focus on applying for grants and scholarships instead. What is happening to much of student debt taken out is that parents and grandparents end up helping students make their debt payment. Data does show that some college graduates end up carrying student loans well into their 30s, 40s, and 50s, burdening already strained finances and household expenses. Student loan debt is now the second highest consumer debt held after mortgage debt, and higher than both credit cards and auto loans as tracked by the Federal Reserve. There are over 44 million borrowers nationwide of student loans, with an average balance owed of roughly $37,000. Student loans are held across a broad spectrum of the public, including all demographics and age groups in every state. Of growing concern are the amount of student loan delinquencies, which surpassed 10% of all student loans in 2018, with $31 billion in serious delinquency status. Federal Reserve data reveals that the majority of borrowers have a loan balance of between $10,000 and $25,000, with 30-39-year-olds holding most of the outstanding debt. *Market Returns: All data is indicative of total return which includes capital gain/loss and reinvested dividends for noted period. Index data sources; MSCI, DJ-UBSCI, WTI, IDC, S&P. The information provided is believed to be reliable, but its accuracy or completeness is not warranted. This material is not intended as an offer or solicitation for the purchase or sale of any stock, bond, mutual fund, or any other financial instrument. The views and strategies discussed herein may not be appropriate and/or suitable for all investors. This material is meant solely for informational purposes and is not intended to suffice as any type of accounting, legal, tax, or estate planning advice. Any and all forecasts mentioned are for illustrative purposes only and should not be interpreted as investment recommendations.